NIU College of Law Professor Morse Tan has been chosen to participate in the Chicago Council on Global Affairs’ 2017 Emerging Leaders Program. This marks the first time anyone affiliated with NIU has been selected for this prestigious program. Professor Tan and the rest of the members from the Class of 2017 join a prestigious group of thought leaders. Previous participants have included Marshall Scholars, a White House Fellow, CEOs, leaders of major non-profit organizations, governmental leaders and leaders of multinational law firms. 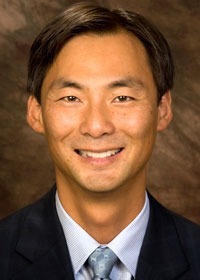 A Supreme Court Fellowship finalist, Professor Tan’s scholarship has been received by the United Nations Commission of Inquiry, the Prosecutor of the International Criminal Court, the South Korean Ambassador to the U.S. and the U.S. Assistant Secretary of State who led negotiations with North Korea. Tan has served as a peer reviewer for the American Journal of Comparative Law, the Human Rights Journal and the International Negotiation Journal, with published works in a number of law journals and periodicals. At NIU, Tan teaches courses in international law, international criminal law, international human rights and a North Korean Seminar as well as serving as faculty adviser for the school’s International Law Certificate Program. He recently published a book, “North Korea, International Law and the Dual Crises (A Narrative and Constructive Engagement)” by Routledge Press. The book examines North Korea’s history of human rights violations and recent developments in its military arsenal, including cyber-nuclear threats. Previous Post:How can K-12 schools prevent bullying?